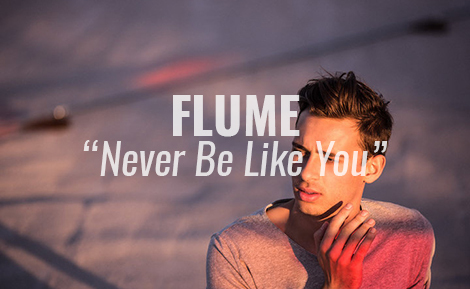 “Never Be Like You” has really turned into a breakout hit for Australian artist Flume, off his latest album Skin. Having reached Top 20 at Pop Radio this week in the US, the song has received more than 204 million streams (across Spotify, Soundcloud, Youtube), with over 305k tracks sold worldwide. Skin continues to receive widespread critical acclaim—Rolling Stone recently featured it as one of the “Best 45 Albums of 2016 So Far” while TIME furthers, “it sounds like the future of electronic music.” To continue to celebrate the release, Flume will embark on a massive world tour including four sold out, consecutive nights at Los Angeles’ Shrine Expo Hall (the first ever artist to achieve this), New York’s Forest Hills Stadium, three nights at San Francisco’s Bill Graham Civic Auditorium and more. Flume will also appear at this year’s Lollapalooza festival.